Are you thinking of hiring a software marketing firm to help market your software or services? This article will give you some suggestions for when to hire a marketing agency, when to do it yourself, and whether to consider full-service or point solutions. Don't outsource your core strategy - you need to know your marketing goals & key value proposition (VP) BEFORE you hire someone to market for you. They can (and will) tweak the words, but you need to have internalized your goals and VP. Look for tech experience - hire a firm or person with experience in the technology industry. Make sure they know your customers - they should understand and have experience in your target industry. Have roles clearly defined - what will be your involvement? what are the specific expectations for the agency? Set success metrics - the software marketing firm can help you tweak them, but you should have an idea of how you will measure the success of your marketing, before meeting with an agency. 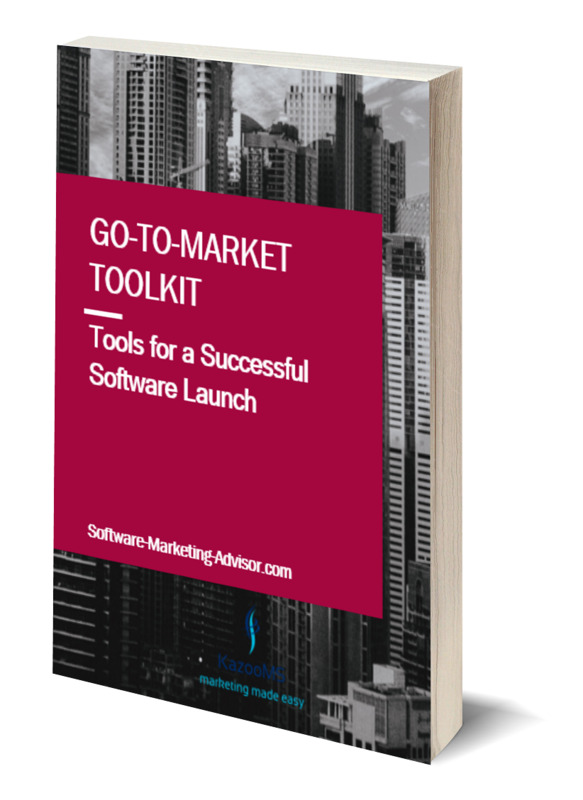 We have just launched our Go-to-Market Toolkit, with guides, templates and checklists to plan a successful software launch. Check out the Toolkit here, or you can get a free Go-to-Market Checklist one-pager if you sign up for our FREE monthly newsletter here. If you prefer, you can also check out our other software marketing downloads. Regardless of your situation, there are four things that you must have in place before outsourcing your marketing: goals, user persona, USP, and role expectations. If you're going with a full-service agency, then they will want to work with you to refine these items. But at the end of the day you must be the ultimate decision-maker, so you need to go into the conversation with a first draft. What do you want or need to get out of the marketing? How will this marketing campaign impact your business? What is your CTA (call to action) for that audience? Before starting any marketing campaign, it is important to be clear on why you are doing a marketing campaign now, and what your goals are for it. Perhaps you are launching a new product? Need to target a slightly different audience? Or maybe sales are not what you had hoped and you need to improve them. There are many different reasons for doing a marketing campaign, and the software marketing firm will take a different approach depending on your goals and business needs. 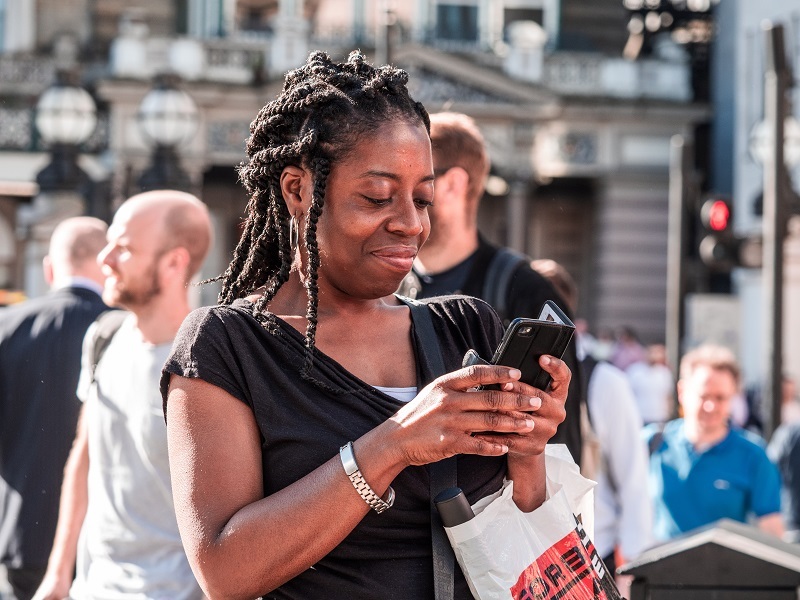 For each audience segment, you need to define a clear, specific call-to-action (CTA). And be selective - you don't need to market to all potential audiences. Think about your goals, and then choose those audience segments that can help you get there most effectively. What is the most detailed description you can provide of the type of person who will buy or use your software or service? Be as specific as you can in your description: it is better to keep your niche narrow and focused, than to try to appeal to every possible user. * those who will get the most unique value from your offering. Your Unique Selling Proposition, or USP, is what sets you apart from other possible solutions to the user's need. You should be able to articulate something that is unique to you, your company, or your product. This is one of the reasons to focus your niche - define it so that you can describe a unique value. Don't worry about wordsmithing your USP right now - the software marketing firm can help with that. What is important is that you fully understand and can describe what your unique value is. How much involvement in the marketing effort can you commit to? What control do you want to have over the process? Which decisions do you need to be involved in? What pieces of the campaign will you or someone else on your team own? Also, be ready to discuss clear roles, expectations, and deliverables with the software marketing firm. Do I really need to use an outside agency? Should I hire someone or outsource? What parts of the marketing challenge do I want / am I willing to do myself? Does this marketing firm understand and have experience in the technology industry? Any marketing agency you select should have tech experience. Why? The tech market is constantly changing & innovating. Your chosen marketing agency needs to understand that. They must have the flexibility to help evolve your brand as your market shifts, and work with you seamlessly through any necessary pivots. In most cases, your target customers will be tech-savvy and digital. Your software marketing firm needs to have the technical expertise and online stripes to be able to effectively market to that type of audience. They need a sufficient technical foundation to understand your product or service enough to help you refine and optimize your messaging, and help you identify the best ways to reach your target audience. In the tech space, it is very important to lead with strategy. Does your selected agency understand this? Unless you plan to drive strategy yourself, stay away from firms that want to jump straight into tactical marketing activities. Does this marketing agency understand and have experience with your target user segment? What do you need the software marketing firm to handle? Do they have an effective marketing process? This should include everything from strategy to messaging to creating content, reusing existing content, building landing pages, creating email campaigns, etc. What channels or tools do you need covered? How will you measure their success? Do they cover marketing to both new customers as well as existing ones? For SaaS businesses, customer retention is a key success metric. Do they understand your sales cycle and incorporate it into their marketing process? Particularly if you have a long sales cycle, it is important for your marketing agency to have a strategic workflow in place to follow and nurture leads to keep prospects engaged throughout the process. Is the firm able to deliver segmented marketing content and personalized communication strategies for the various segment personas that you need to target? Does the Agency Know Your Target Customers? There is a big difference between B2B and B2C marketing - make sure your agency has the right background for your target audience. Do you sell to a specific vertical industry? Each industry has different terminology, ways of doing business, expectations, etc. Make sure your chosen provider has experience in your industry. Do They Have the Specific Expertise You Need? Marketing is a broad field. Not all marketers have the same expertise. You may find you have to hire different marketing outsourcers to cover different aspects of your marketing needs. You could also hire a full-service agency that will provide you with a team that covers all your requirements - but be aware that you will pay top money for that. How Will You Measure Marketing Success? What will be the impact on your sales outcomes (or other business metric)? Will you want to measure conversion rates for marketing assets, email campaigns, etc? How important are online metrics, such as website traffic, social following, etc? Does the software marketing firm have metrics and ROI built into their process? What's the final takeaway? It can be a good idea to hire a software marketing firm, but make sure you're clear on your goals and exactly what you need from them. Hire a specialist if you just need help with one thing (eg, copywriting or creating a brochure), or hire a full-service agency if you need them to plan a strategic marketing campaign to grow your business. At Software Marketing Advisor, we also offer marketing services, specializing in marketing strategy, process and planning. You can check out our services here or contact us with specific questions. If you just need a little mentoring through the marketing process, then you can also sign up for a pay-as-you-go coaching session here. Thinking of hiring a software marketing firm? Get some tips on what to look for, what to avoid, and how to manage the process of marketing outsourcing. Need the help of a software marketing consultant? We provide services to help with marketing strategy and business planning for your software company. The challenge of "big data" represents a significant business opportunity for software companies today. Firms with expertise in data analysis, storage, or search can take advantage of this new wave.